Bi-Fold Hinges are two hinges of various lengths that are multi-leaf allowing the door or panel to be opened in both or the same direction. 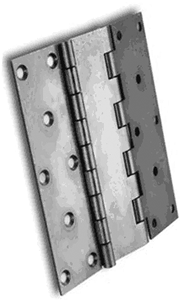 Bi-Fold Hinges have multiple pivot points that allow a tighter swing with a greater degree of travel. Monroe Hinge & Stamping Company has the capabilities to manufacture bi-fold hinges in a wide variety of lengths, metals, finishes and perform secondary operations. 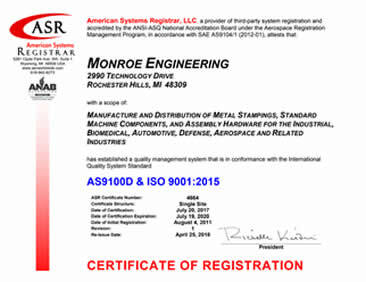 Monroe Hinge & Stamping Company is ready to work with you on developing the right bi-fold Hinges for your application. All of our projects start with a question, a print or a sketch. Are you looking for Bi-Fold Hinges?